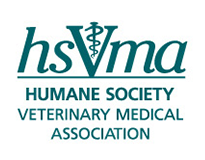 The Humane Society Veterinary Medical Association currently has no open employment opportunities. HSVMA’s Membership department provides the planning and oversight of the membership function of HSVMA. It is responsible for all member services including benefit package development and implementation, renewals, database, marketing, awards and event organization. Membership is looking for volunteers (click to view expanded position description) to assist with all aspects of the department’s activities. Work is performed in our Davis, Calif., office during standard business hours (9 am-5:30 pm). Volunteers will learn about association membership and foster an understanding of animal protection issues while helping to support the missions of The HSUS and HSVMA. Volunteers commit to a minimum of five hours per week for three months. All volunteers must successfully complete a criminal background check. We do NOT accept any court ordered community service. Please review the description and restrictions above to help determine if our volunteer opportunity is the right fit. If you would like to proceed, please fill out the volunteer application. After review of your application, a staff member will contact you to discuss the opportunity. If we mutually determine that the opportunity appears to be a good fit, you will be asked to fill out an authorization form allowing us to carry out a background check. Before becoming an official volunteer, you must pass the background check, sign a volunteer agreement, and sign a waiver/release of liability.